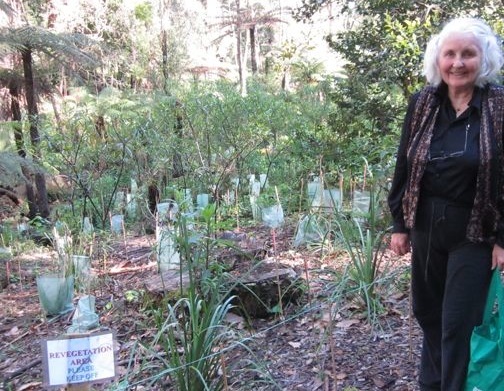 Jenny Saulwick is a resident of Belgrave and has been for years but Jenny is also an environmental champion who walks the talk. In the photograph below, Jenny is standing next to a very difficult waterway rehabilitation project. As the coordinator of this rehabilitation project and being someone who cannot walk past an angled onion without pulling it out, this site has a good future. Way to go, Jenny … I’ve got a project in the Goldfields you can come and help me with.